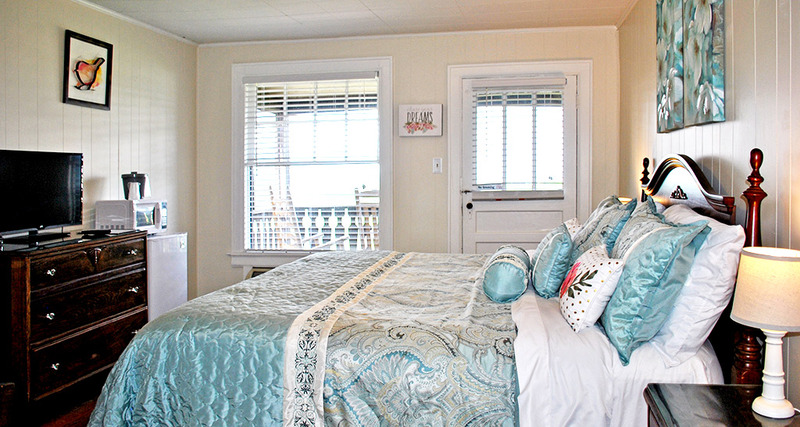 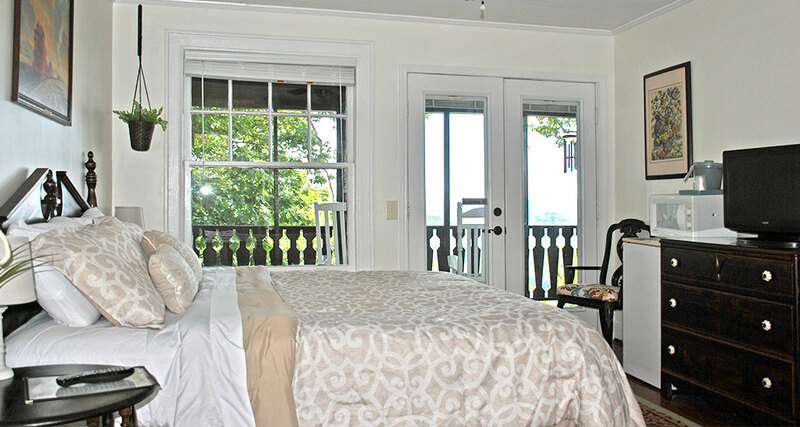 This room has restored antique furniture and a private balcony with rocking chairs to enjoy the great view. 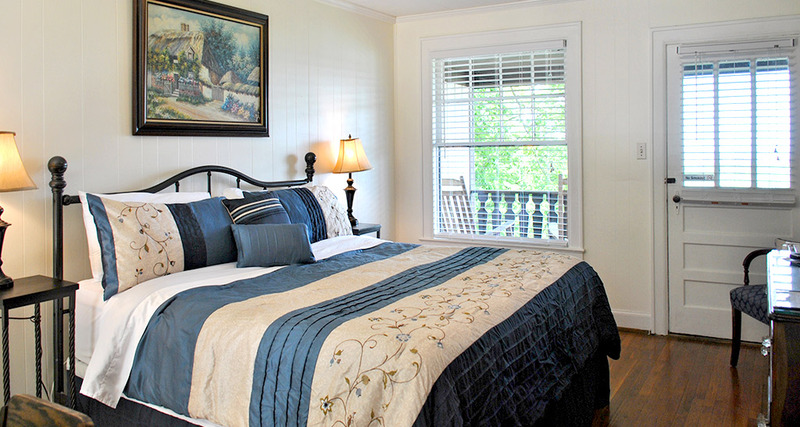 The River Bend Room has a king size bed, a mini-fridge, in-room Keurig, a microwave and a private bathroom with shower. 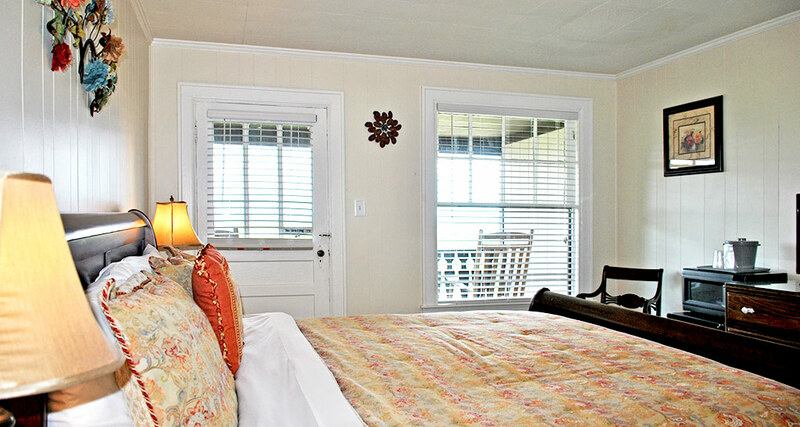 A complimentary continental breakfast is served in the Skybox daily from 7:30 am until 10:00 am.